Jay Michaelson’s incisive and exquisitely profound insights into our human condition come in full force in The Gate of Tears. Our inner world will never seem the same. The Gate of Tears is a beautifully written, transformative book. Jay Michaelson guides us, instead of denying, avoiding, explaining away or resisting sadness, to go right into the heart of it. There we find open space, true love of life, and, perhaps most redeeming, one another. Jay Michaelson is a well-known public figure: a bestselling writer, a columnist for the Daily Beast and Forward newspaper, and a frequent commentator on religion, law, and LGBT issues who has appeared on NPR, CBS, and MSNBC. But Michaelson is also a rabbi, a scholar with a Ph.D. in Jewish Thought, and a teacher of Buddhist meditation in a Theravadan lineage. This unusual combination of the contemporary and the contemplative infuses The Gate of Tears with a highly un-New-Age sensibility, skepticism, and humor. Jay Michaelson’s best book yet is accessible, inviting, and written like poetry. Seamlessly blending teachings from Buddhist, Jewish, and humanistic traditions, The Gate of Tears will be of enormous help to anyone hiding or fighting any part of themselves. Sometimes with a Jewish eye, sometimes with a Buddhist eye, but always keenly focused on wisdom, Jay Michaelson teaches us to distinguish sorrow from despair, and sadness from depression. Surely the entrance to the gate of tears is familiar to us all, but his gift here is to walk us through the gate and lead us into a territory full of the promise of healing and redemption. A rabbi, a scholar, a poet and a leader, Michaelson is a learned but personable and personal guide, and by showing us how he has learned to be kind to himself, he teaches us how to be kind to others. Jay Michaelson’s incisive and exquisitely profound insights into our human condition come in full force in The Gate of Tears. A Pensees for our time, The Gate of Tears offers deep thinking about our lives that gets us thinking – and feeling. Here we have an antidote to the mindless feel-good ideology, and gentle instructions in attending to the fullness of our experience so we see the value in the downs, not just the ups. Our inner world will never seem the same. Jay Michaelson’s writing is always bracing and brave, but The Gate of Tears has particular power. He guides us to explore – and accept – the truth of what he calls “ordinary sadness,” and stop looking for happiness so that we might actually find it. Every chapter made me feel as if he was seeing me personally. This book will change your perspective and ease your load. There are two kinds of mystics: those who talk about the mystical and those who speak from and for it. Jay Michaelson is among the latter. The Gate of Tears is an invitation to authentic mystical awakening offered by a seeker who dares to be crushed by God that he might be freed for godliness. Don’t just read this book; digest it. 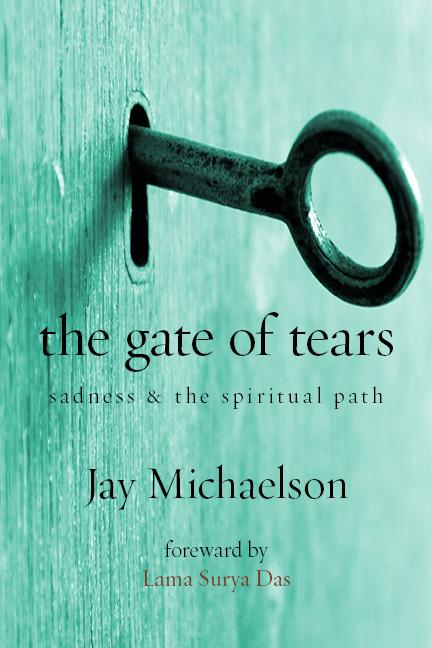 Jay Michaelson’s exquisitely rendered Gate of Tears offers the evocative reflections of a soul who knows firsthand the poignant pain of deep sorrow, loneliness and loss, yet poetically presents a wider view that includes these dark and difficult aspects of the human condition, rather than perpetually trying to be free of them. He illuminates a contemplative perspective that allows for the full spectrum of human experience to “be as it is,” with all of it honored as vital notes in the vast symphony of one’s life and spiritual journey. A stunning antidote to the plethora of “get happy” guides, Jay Michaelson reminds us that sadness is as necessary a part of the human condition as joy, and that in embracing both, we experience what it is to be fully alive. Inspired by religion, poetry, and Michaelson’s honest reflections, The Gate of Tears is a book that — in embracing sadness — celebrates life. Have you ever picked up a book knowing that its arrival in your life at precisely this moment was a gift? That was my sense when I held Jay Michaelson’s The Gate of Tears, subtitled “Sadness and the Spiritual Path.” As I delved into the book, that sense only deepened. Sadness can feel like something shameful, especially for people (like me) who make a practice of practicing gratitude. But sadness is a necessary part of the emotional landscape. Dr. Jay Michaelson is the author of six books, including Evolving Dharma: Meditation, Buddhism and the Next Generation of Enlightenment (North Atlantic, 2013) and the bestselling God vs. Gay? The Religious Case for Equality (Beacon, 2011), as well as over 300 articles in The Daily Beast, Atlantic, Tricycle, the Forward, and other publications. 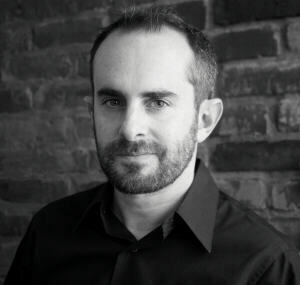 In the academic world, Dr. Michaelson is an affiliated assistant professor at Chicago Theological Seminary who has held positions at Brown University, Yale University, and Boston University Law School. He received his Ph.D. in Jewish Thought from the Hebrew University of Jerusalem (2013), and also holds an MFA from Sarah Lawrence College (2012), a JD from Yale Law School (1997), and a BA from Columbia (1993). In the contemplative world, Jay has spent thirteen years in the Dharma, including numerous long retreats in the Theravadan tradition in the United States and Nepal, and several Dzogchen retreats as well. He now teaches jhana meditation in the lineage of Ayya Khema and Leigh Brasington, and is on the board of the Barre Center for Buddhist Studies. He is also an ordained rabbi (nondenominational) and co-leads the Elat Chayyim Jewish Meditation Program. A national voice of progressive Judaism, Rabbi Michaelson has been named to the Forward newspaper’s list of the fifty most influential Jews in America, and has spoken at over 90 synagogues and other Jewish institutions across the country. And in the media and policy worlds, Dr. Michaelson is a contributing editor to The Daily Beast and a frequent commentator on religion, law, and LGBT issues who has appeared on NPR, CBS, and MSNBC. His landmark 2013 report, Redefining Religious Liberty: The Covert Assault on Civil Rights, was the first to explore the “religious exemptions” movement that has subsequently gained national attention.